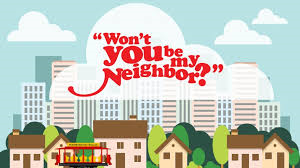 Home > Adults > VBS 2019 Won’t You Be My Neighbor? 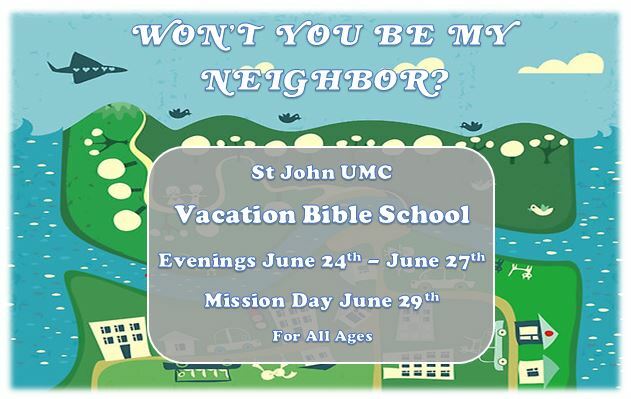 Come discover more about God’s love and sharing that love with our neighbors! Come to our Volunteer orientation and lunch after 11am service on April 28 in the Fellowship Hall to learn more! When? Monday – Thursday, June 24-27, 5:30-7:30 p.m.
How to help? Volunteer Sign up Form (open to students in grades 10-12 or Adults) Come to our Volunteer orientation and lunch after 11am service on April 28 in the Fellowship Hall to learn more!